Happy Halloween and may purple kittens reign supreme! 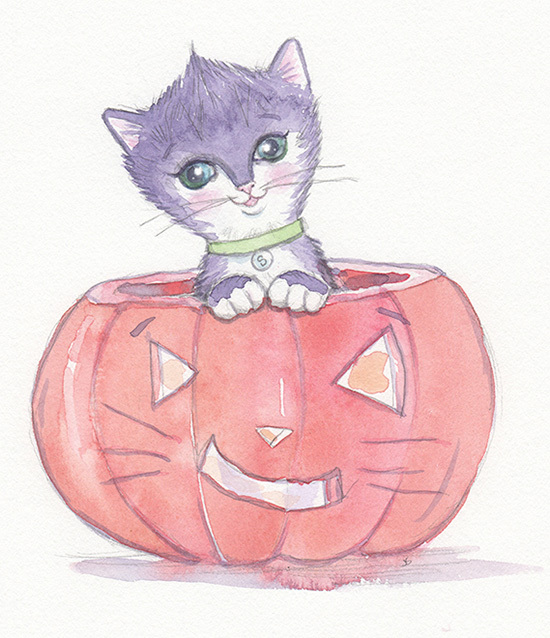 I’ve been hugely busy with illustration work but I’d thought I’d drop by with a little Halloween greeting from cute purple kitty Spooky. I’m thinking of writing a picture book for him just so I can illustrate more of his antics.